So you have shifted to a new location within your city or from another city, and you need to set up your home and life as a whole. New place, new requirements plus the finances are a headache for you,and you don’t know where to go; what to do. Lo behold, here is a quick solution for you - renting solutions! So what is renting solutions? The top of the mind problem of shifting is the cost of setting up the home then the search for the right furniture and then the maintenance and wear and tear. A smarter was of setting up yournew home and life is renting furniture,appliances and bikes as well at almost 1/20th of the cost of buying out, and some of the products that are given on rent come at just 1-2% of the original cost of the product, making it accessible for many more.Then there is the option of replacing the furniture which under renting plan can be done within 3 years unlike buying furniture, which you may not change even after 10 years. Now that’s what we call the #SmartlyOwn concept. Across the world, owning economy has changed drastically. People are saving money by not owning stuff but renting the same stuff. Increasingly, people are turning to renting everything from property to clothes and now furniture and appliances. It gives you access to various utility products, without the headache and cost of buying and maintaining expensive stuff. Then some people have gotten used to saving money by subscribing to various daily use items like papers, magazines, food, clothes, etc. I would say renting furniture and appliances is an extension of this subscription concept and suits most of the early adopters who follow the #SubscriptionLifestyle. Indians, traditionally, have a preference for ownership. Be it a house, expensive jewelry ,a car or good clothes. Slowly but surely, this mindset is also changing now. There are young professionalswho have jobs demandinginter-city movement. Then there are those who keep changing jobs. The concept of working in the same organization for 25-30 years has long faded in India.All these factors have added to the need for renting. 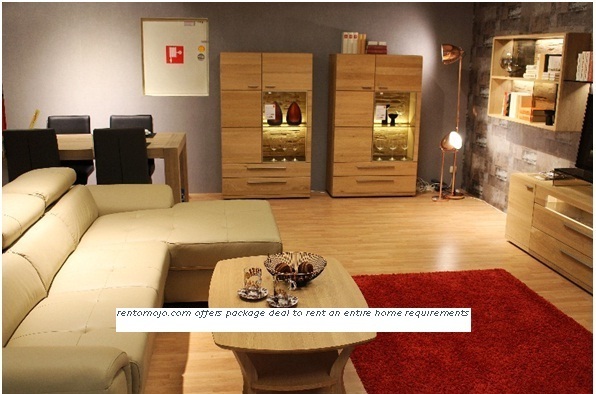 Then there is the advantage of the convenience of renting from the comfort of your home with a few service providers like rentomojo.com which offer home packages for all requirements of setting up the home at the click of a button. Go ahead and #SmartlyOwn your home requirements keeping all your worries aside.